Many people still think of golf as a non-strenuous sport. But the modern golf swing is all about power and efficiency. Even experienced amateur golfers – who’re not usually as super-fit as the pros – often suffer from pain in the lower back, wrist, elbow or shoulder due to incorrect technique. We can develop a personalised exercise programme to make sure no undue stress is placed on your body while you golf. This can also help you avoid tissue damage that could cause injury and pain. 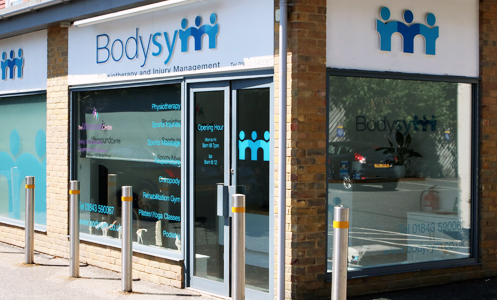 At Bodysym our golf specialist Llewellyn can analyse your body dynamics to identify any physical issues that could be affecting the efficiency of your swing. Whatever level you play at, making changes can help improve your performance, prevent injury and keep you playing pain-free for longer.